But if there’s one positive to be pulled from the convoluted heap, it’s that Fox’s prequel movies lend a new generation of acting talent the chance to portray some of the franchise’s more iconic mutants. From Professor X to Magneto, Jean Grey to Storm, it’s these younger characters that have since gone on to become the focal points of First Class, Days of Future Past and last year’s divisive X-Men: Apocalypse. And, pending contract negotiations, most, if not all of those characters will be returning for the next, as-yet-untitled X-Men movie. To date, we’ve caught wind that Sophie Turner and James McAvoy are all but locked in to reprise the roles of Jean Grey and Professor X, respectively, while Nicholas Hoult remains keen to don the fuzzy blue prosthetics once more as Beast (AKA Hank McCoy). Ditto for Alexandra Shipp, who expressed a desire to complete Storm’s arc during a recent interview with Screen Rant. The outlet caught up with the actress at the ongoing SXSW 2017, where Shipp is in attendance to promote Tragedy Girls, a horror-comedy in which she stars opposite Brianna Hildebrand of Deadpool. On the topic of Fox’s next mainline X-Men movie, though, Shipp remained coy. While she may not be in the same league as, say, Jennifer Lawrence, Michael Fassbender and the aforementioned McAvoy, we imagine Alexandra Shipp still has a future in the X-Men universe, providing the actress is able to iron out contract details. 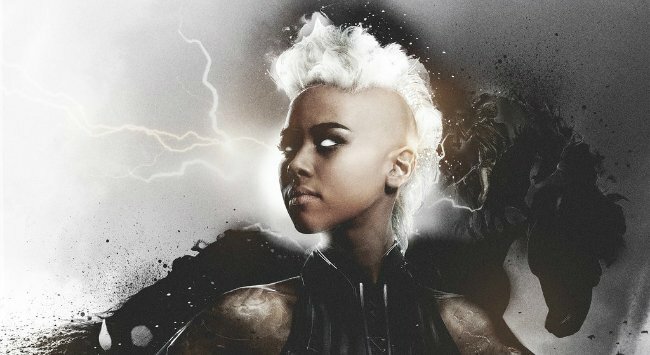 Assuming a deal falls into place, Shipp went on to reveal the ways in which she’d like to dovetail Storm’s prequel arc with the matriarchal mutant played by Halle Berry. The status of the next X-Men movie, rumored to be codenamed Supernova, remains up in the air. Reports of Simon Kinberg taking the reins were premature, it seems, but we’ll be keeping you right up-to-date as more information comes to light.